This one is pretty simple, but that's OK. I like simple sketches because they let your imagination take over and you can make it anything you want! I'm just LOVING the Autumn Spice DSP. It's so thick and luxurious! If you love it too, don't forget to order it before the end of December - after that it will no longer be available and you'll be sad - I promise! My card base is 5 1/2 X 8 1/2 Old Olive Cardstock scored and folded at 4 1/4". 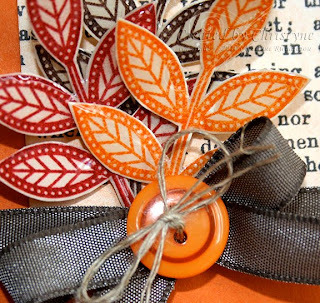 I sponged around my layer of Autumn Spice before adhering it to the front of the card. I attached a piece of 1 1/2 X 4 in a different pattern from the Autumn Spice pack that I wrapped with Old Olive Taffeta Ribbon. 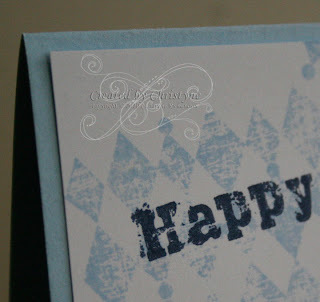 I stamped my sentiment from "Word Play" in Old Olive Classic Ink and then used a sponge to add some ink to the edges of my Very Vanilla Cardstock. The Very Vanilla piece was corner punched and attached to a piece of Old Olive Cardstock, to which I added gold brads before adhering it to the front of the card using Stampin' Dimensionals. If you like "Word Play", be sure to check back on November 3rd, when I'll be featured in the SUDSOL blog tour and you can see more! Grunge Rock in Blue...and PINK!!! So...clearly it's been a while! Where the heck have I been? The short answer? BUSY! The long answer, DH's and DS's birthday, Vegas, Creative Festival, appointments...yep! That pretty much sums it up! Starting with DH's birthday, I got up and had to make him a card...yep! TOO busy to get it done ahead of time - YIKES! He used the Grunge Rock Set and stamped in Bashful Blue, Night of Navy and Not Quite Navy. What do you think? He stamped the inside too and DH and I both told him that meant his card was WAY cooler than mine! He was pretty happy about that! As I mentioned, I used the same set and made a card too! A few days later, I used the same set and made a pink one - SUPER CUTE!!!! To see the whole card, click on one of those links at the top left and join SUDSOL for a free two week trial! You're gonna love it!!! LOTS of items - some at up to 80% off!!! As you know, the CLEARANCE RACK has been operational for over a year now, it is a great place to discover discontinued Stampin' Up! merchandise for fantastic prices. Now, from October 5-18, they are adding over two hundred more discontinued items -- some at up to 80 percent off -- to help us make room in the Distribution Center for new products! • Qualifying orders are eligible for hostess benefits/Stampin' Rewards. • While the Blitz last from October 5-18, some items, depending on availability, may be made available in the Clearance Rack in the future. • All discontinued items are available only while supplies last. • All sales of discontinued items are final. Come see all the new items! These are all discontinued items and are only available in the Online Store! I've been in a bit of a vintage mood lately, so while I had the paper out for this post, I decided to keep playing with it. Can you believe this is Christmas paper? This is a perfect example of just how versatile our papers are. You can use them for their intended purpose (Christmas) and for a host of other things! 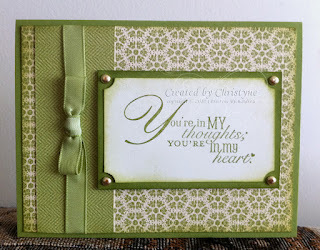 Come back on Nov. 3rd when I'll be participating in the SUDSOL Blog Tour and you can see what I did using our Celebrations DSP for two different cards. For this card, my base is Crumb Cake Cardstock and the next layer up is Early Espresso. My DSP is from the Deck the Halls DSP pack. 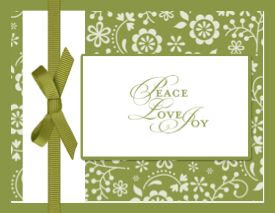 For this card, I used the Just Believe Stamp Set (item # 120453 - Clear). I coloured the main image using my markers and since it was a sizeable image, rather than "huff", I spritzed with some water and then stamped the image. I spritzed twice, but should have only spritzed once. In the end though, it worked to add a little more "vintage" to my card. We all make our own cards, right? So why go out and get a store bought gift bag? Why not make your own??? Recently, DS attended a birthday party for a friend of his. 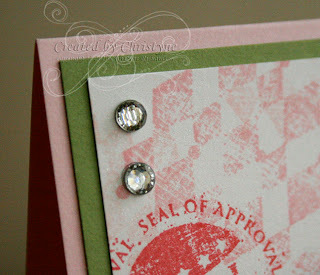 I had the card all sorted out - thank goodness for Extreme Elements and Grunge Rock - but I needed a bag too. As mentioned in yesterday's post, I'll be at the Creativ Festival with my Caroline next weekend (this weekend I'm prepping for VEGAS BABY!!!) and I'll have some hand made items for sale. In order to get ready for that, I bought some Kraft coloured bags to decorate. I just pulled one out of that stash and went to work. 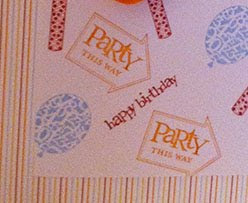 I used Party This Way on the outside of the bag. The Extreme Elements are Grunge Rock were reserved for the card (sorry, no pic of that). To see the whole thing, you'll have to be a demonstrator and click on the link up to the left in order to join SUDSOL as a trial member as the above sample is exclusive to SUDSOL. 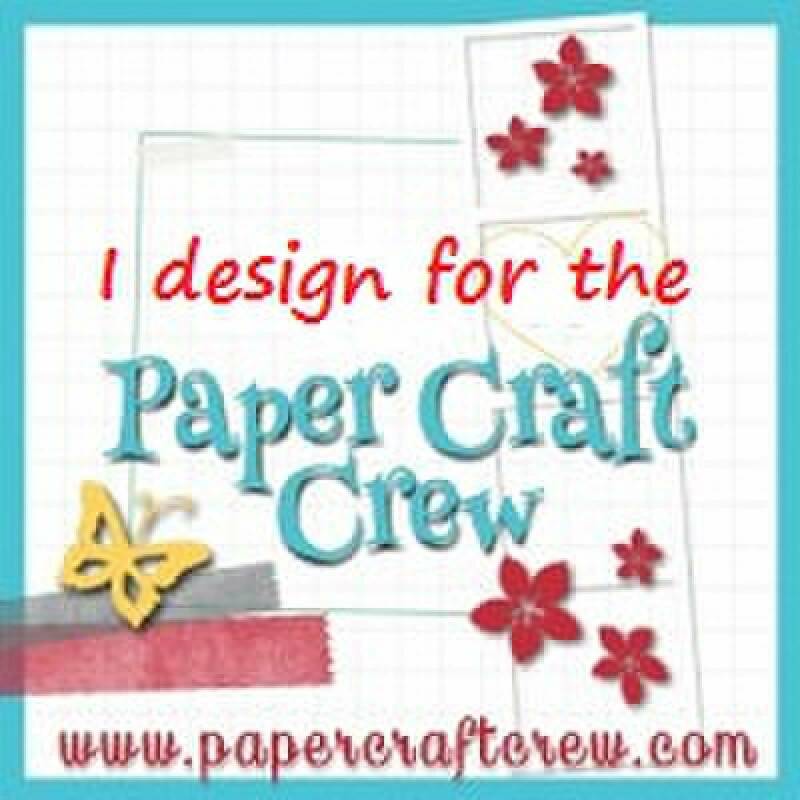 I was looking for something to get my MOJO going today and remembered that Wednesdays are sketch days over at SplitCoast Stampers. As soon as I saw it, I just knew I had to do something vintage! Nothing like finding your MOJO in a detailed card, eh? OMGosh! LOVE!!! How can you NOT love this card? It's the perfect Christmas card. Of course, it's not one you want to replicate for your list of 75 Christmas card recipients but it's certainly doable for those few VERY special people in your life. Wouldn't you say? Now...for the details. Got your coffee? This could be long!!! I FINALLY decided to get Lovely as a Tree this year! This made my Caroline VERY happy...mostly because I would stop stealing borrowing hers, but also because now it means she can do her classes at the Creativ Festival. Are you going? You should be! Not only will my Caroline and I be there (isn't that reason enough? ), but this year, I plan to have some gift items ready for you to buy and give. How perfect is that? Not only do you get to see US (how cool! ), you get to do some Christmas shopping too! If you're REALLY lucky, you might even get to purchase the above card...but you better get there early, because I'm betting it'll be one of the first things snapped up! Anyway...the first thing I did was stamp the single tall tree image on Very Vanilla Cardstock using Early Espresso ink. 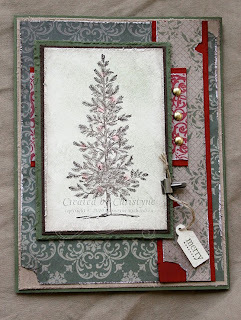 Then I added some Always Artichoke colour around the branches using my Stampin' Pastels...of course, you can't see it because I decided to distress the cardstock using Always Artichoke Ink and my sponges - LOL! However, if you look REALLY close, you may see the little red dots of Cherry Cobbler in the tree which was also done using Stampin' Pastels. I'm hoping it really does look like balls in the Christmas tree, since that's the look I wanted. The next step was to distress the edges of the image panel. I did this using my paper snips because (I KNOW!!!) I haven't yet ordered the distressing kit. It's on my list - PROMISE! I did the same for the edges of all the cardstock and DSP except for the card base. The panel directly under the image panel was embellished using gold brads. I really need some antique brass brads, so I better put the metallic brads on my list too! I'll bet the vintage trinkets would have looked good too...another thing for the list! You can have them too...just visit my online store and start shopping! Stampin' UP! 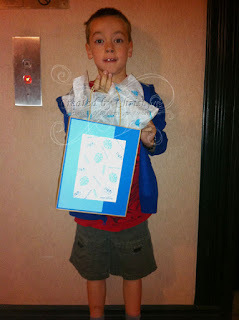 will deliver the goodies right to your door! What I DO have in Antique Brass is a mini library clip, so I used that to "attach" the tag to my image panel. In truth, the Linen Thread is stuck down using a glue dot. I hid it under the Library Clip. Stampin' UP! rocks my world!!! You're gonna love this! Warning...the song is TOTALLY cute and addictive! I'm making an effort to use my stamp sets a bit more than I do - you know the ones - OMG! I have to have it!!! Then 4 months later - well...that's no longer available...hopefully it will carry over to next year's IB&C. We've ALL done it! 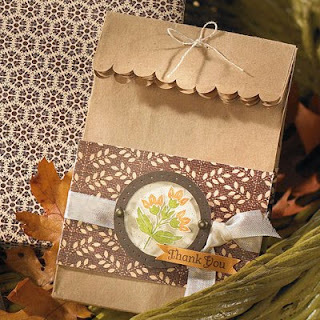 This week, as you've already seen from my post on Monday and my ATC from yesterday, I'm featuring the "Day of Gratitude" set. All the links below are clickable so that you can see exactly what you need to order to complete the project above. And, if you need any of the supplies, you can contact me directly or shop in the online store. Don't forget that the Day of Gratitude Stamp Set is also available in Clear Mount if you prefer that option. 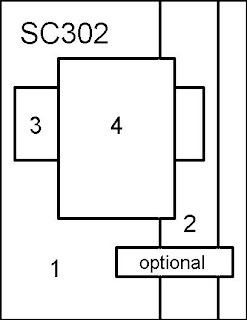 If you choose the clear mount set, you'll also need to purchase Blocks: A, B, C, E and G to use your stamp set. I'm trying to get back on track...now that the kids are back in school and we have established something of a routine, I'll be trying to post more regularly...try to bear with me, OK? Today is Tuesday, so that means: ATC!!! 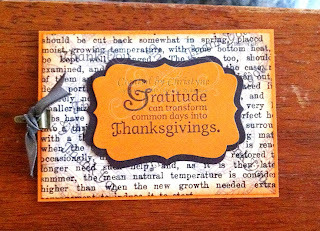 I'm featuring the Day of Gratitude set this week, so this ATC uses that set. I stamped the sentiment in Early Espresso on Pumpkin Pie and punched it out using the new Decorative Label punch which is available in the Holiday Mini. I then used the punch again to punch out two Early Espresso Decorative Labels and made a mat for my sentiment. I sponged Pumpkin Pie ink on my piece of Newsprint DSP and then stamped leaves (after stampin off) in Early Espresso and then stamped the "Thank You" sentiment from the set in full strength Early Espresso. I added a tiny Library Clip and tied on a piece of Early Espresso ribbon for the finishing touch. 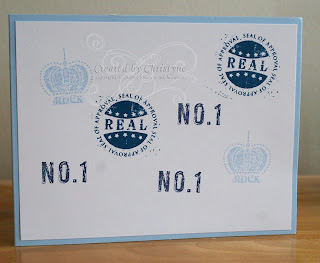 Last week was Stampin' UP! Regionals in Hamilton. As part of our registration, we received the Day of Gratitude Stamp Set. It's not one that I would have chosen, but now that I have it, it's kind of growing on me! For today's 20-minute Monday, I chose the large image from the set and stamped it in Early Espresso. I then hand cut it, which really didn't take as long as you might think. 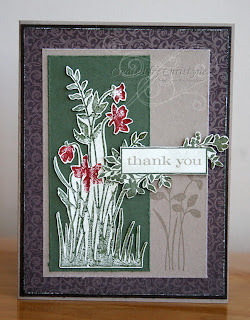 I stamped the Daffodil Delight piece of cardstock with Daffodil Delight ink using one of the small leaves from the set. Yes, I know the ribbon is crooked in the photo. Fortunately, because of the way it's attached, I was able to adjust it. It's straight now - LOL! And here's a sneak peek of another card I created. I can't show it to you, because it's an exclusive to SUDSOL, a demonstrator only site to which I belong. From October to December, I'm on the Design Team! How cool is that??? Now...if you WANT to see it, feel free to click on the little icon to the left that offers you a free two week trial to SUDSOL. You can see the card in full as well as the other wonderful things that SUDSOL has to offer!